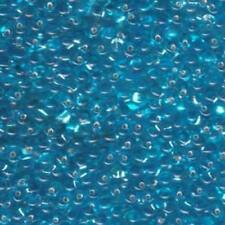 Czech beads are stunning and are of very high quality. Drill hole is approx 2mm wide and is suitable for threads and beading wire. 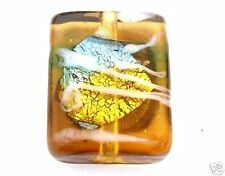 This collection consists of topaz silver foil 20mm x 15mm x 7mm rectangle glass handmade beads. 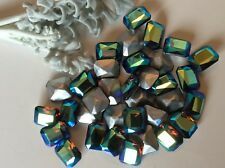 They are a really good quality gorgeous bead. Grab yourself a bargain.you will not be disappointed. Miyuki code TLH134. 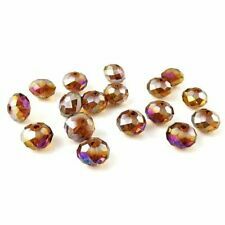 These beautifully eye catching Miyuki half Tila beads have a stunning transparent dark topaz hue and high shine exterior. 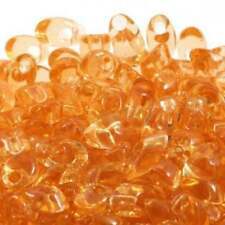 Ideal for bead weaving projects for jewellery, interior design and craft due to the perfect uniformity in shape and size. Create a range of Japanese inspired seed bead patterns and weaves using these square Miyuki beads in dark topaz with beautiful silver lining. 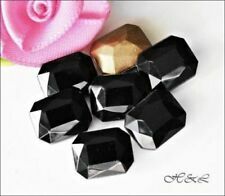 Combine these luxurious matte beads with our flower design square glass beads for a stylish cubed necklace or bracelet.